This book was a non stop read of the creepy psychological variety. The book opens with Lauren and her husband Patrick in the hospital as Lauren gives birth to twin boys, Riley and Morgan. While initially Lauren is afraid she won’t love them, that fear is quickly dispelled, but it’s replaced by a more disturbing fear: someone is trying to take the babies. There’s an epigraph at the beginning of each chapter that grounds the book in the idea of the changeling, an ancient folkloric concept that the real baby is taken and replaced by an elf baby or an ice baby or in Lauren’s case, a river baby. And if this was the straight up thrust of the novel, it would have been almost a cliché. 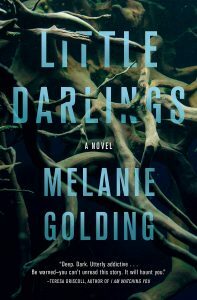 But Golding – and this is a first novel, which is remarkable – instead creates doubt in the mind of the reader as she paints a picture of a woman so exhausted and overwhelmed by twins that she could be delusional. Still in the hospital, she makes an emergency call to the police while locked in the bathroom, reporting that someone is trying to steal the babies. The call is dismissed and Lauren is referred to mental health services instead. Lauren does agree to go home shortly afterwards though she feels far from ready – and who, newborn in tow, hasn’t had that feeling on leaving the hospital? – but her husband is sure it will help her to be at home. However it’s just as overwhelming at home, especially as her husband takes his earplugs and heads for the spare room to get a good night’s sleep. As she’s breastfeeding, he points out, he can’t be much help. Lauren feels completely alone and overwhelmed. Understandable. But she’s sure someone is trying to get in the house and she gets her husband to put three locks on her bedroom door, to protect the babies. Her husband is skeptical, but she can’t get past a vision of an old woman with a basket in her hospital room who wanted to trade babies with her. Her husband finally gets her to agree to leave the house, but when she heads out, she’s sure she sees the old woman lurking in the bushes. She perseveres however and does go out, only to have the babies snatched away. Though they are found, she is sure they have been changed out and are no longer her own dear twins. Golding provides ample evidence for each point of view. Lauren is definitely having some sort of psychotic break or experiencing postpartum depression, but on the other hand the twins, as described after their return, do seem different. The resolution is simultaneously gripping and ambiguous and for the entire read, you’re inside Lauren’s head. It’s hard to judge the reality of what she’s feeling because it’s as though you’re feeling it yourself. 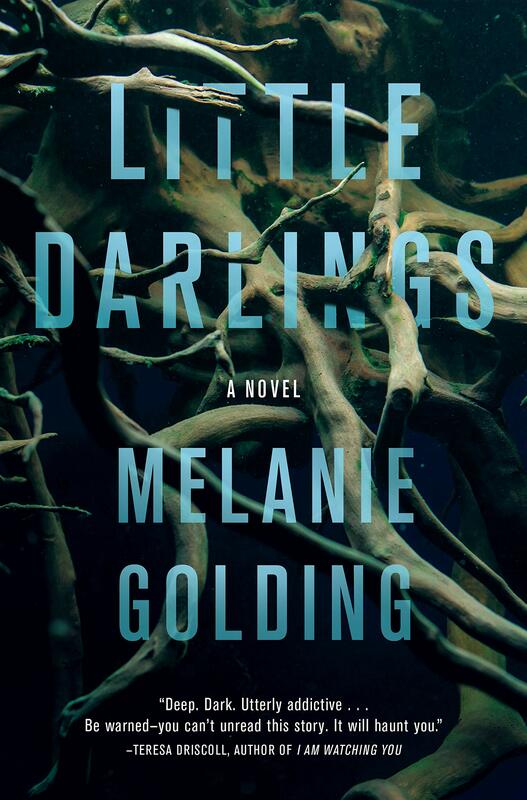 This is a masterful first novel, and when you finish it, you’ll be thinking about the ending and trying to decide for yourself what might really have happened.